Listen Columbus is Ohio’s first digital library collection focused on local music. It features albums from some of the top musicians in Central Ohio. Anyone can stream music in the collection. Listen Columbus was created by the Upper Arlington Public Library. The project received a grant from the federal Institute of Museum and Library Services (IMLS), awarded by the State Library of Ohio. Additional support came from the Friends of the UA Library. The Upper Arlington Library features local music in our physical collections and the Live at the Library concert series. Creating Listen Columbus is another way to bring local music to library patrons, to help them discover great music in their community. 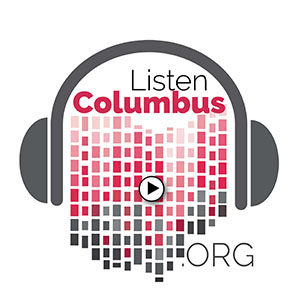 The goal of Listen Columbus is to create a digital collection of music from Central Ohio bands, creating a site where it is easy for our patrons, and many other listeners to keep up to date with the Columbus music scene. We are eager to bring your music to a new audience and hope this collection will continue to foster support for and interest in Central Ohio musicians. The Listen Columbus collection features albums from musicians recording, living and touring in Central Ohio. Upper Arlington Library will pay for a non-exclusive license to offer music on our website for patrons to stream. The website will feature information about musicians including: bio, pictures, links to web presence, where music can be purchased and show dates. Priority will be given to full length albums or EPs released within 5 years of the submission date. Musicians and bands must perform regularly in Central Ohio and have a connection to the area. All music, lyrics and album artwork must be original, or correctly licensed for inclusion in Listen Columbus. Name of album you would like to submit for consideration. Link to the album you would like to submit.